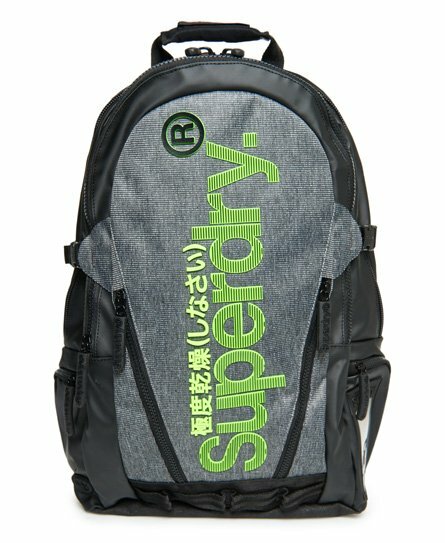 Superdry men's Line tarp backpack. A practical bag for the everyday, this backpack features two main compartments, including one with a padded laptop sleeve, a smaller zipped outer compartment and twin side pockets with zip fastenings. This backpack also features a padded back for your comfort and adjustable clip fastenings. The bag is finished with adjustable shoulder straps, one with logo detailing and a high build logo on the front.